This form is to be completed by the parents and submitted to Kids! Ministry at least 2 weeks prior to the dedication. 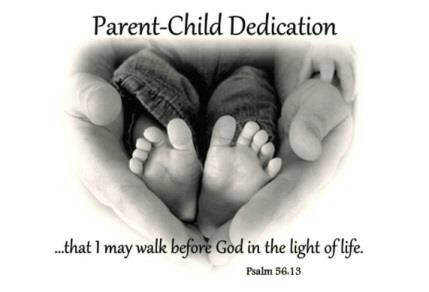 We invite families to select a significant individual to pray over your child for a few private, quiet moments during the Dedication. This individual can be a pastor, a family member, a friend - you decide! You are responsible for asking this individual to pray over your child. Please write the name of this person in the box below.